Stellar Corpses Announces New EP "Hellbound Heart"
Dead stars, vampire kisses and teenage witchcraft—welcome to the twisted fantasies of STELLAR CORPSES. Often labeled "psychobilly" or "horrorpunk," this five-piece band of brothers delivers their own deadly concoction of anthemic punk, melodic metal, and gothic rockabilly. 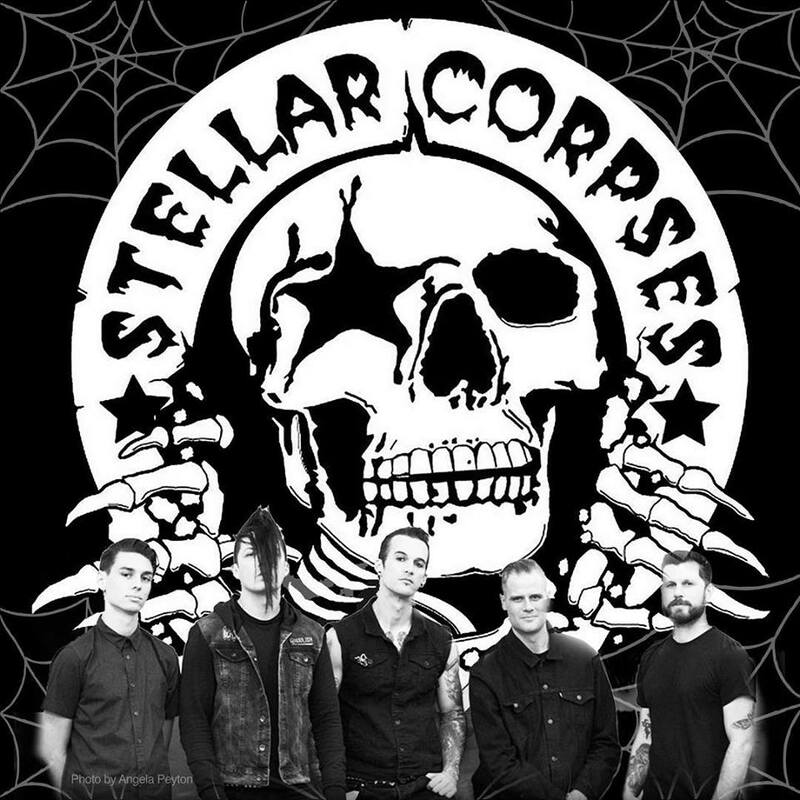 STELLAR CORPSES have toured the world with bands like The Misfits, Tiger Army, The Damned, and others. 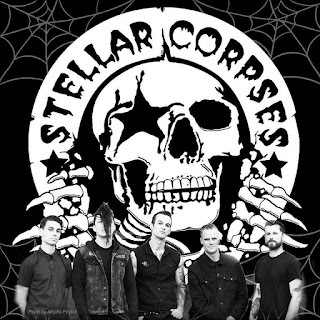 STELLAR CORPSES attribute their look, sound and attitude to growing up in Santa Cruz, California, a small town with a dark past. From being Brian Wilson’s "Surf City" in 1963 to being deemed "Murderville, USA" just a few years later, like its famous Giant Dipper roller coaster, Santa Cruz has seen its ups-and-downs. Subsequently, in 1987, the troubled town was cast in a horror movie and renamed “Santa Carla,” for its befitting role as the filming location and hometown of Keifer Sutherland and his gang of motorcycle riding, punk rock vampires, who fed on teens and tourists at the boardwalk in the 1987 vampire cult classic, "The Lost Boys". From this influence, STELLAR CORPSES was born, and Santa Cruz’s fluctuation between the light and the dark has served as an allegory for the band’s personal and collective journey. 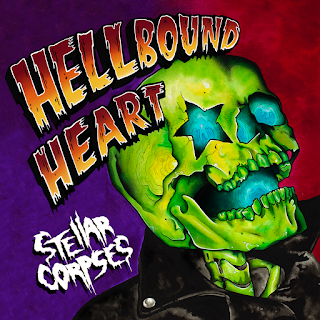 Stellar Corpse will be releasing their new EP titled "Hellbound Heart" on April 13th 2018! Check out the artwork and tracklisting below!